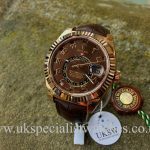 Without a doubt the Rolex Sky-Dweller is one of the most impressive looking Rolex models with its beautiful design and major complication, which has never been featured on a Rolex piece. 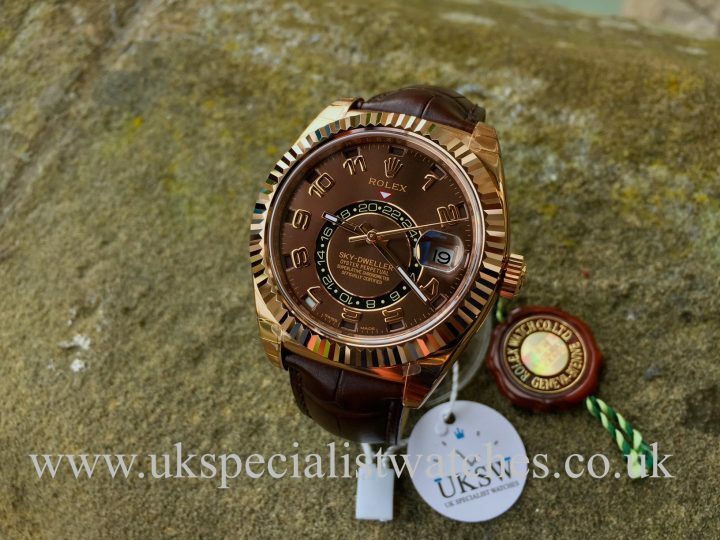 This all new Sky-Dweller has an annual calendar with a small window above each hour marker which shows the current month. The Sky-Dweller also has a dual time zone which is displayed below centre of the dial. 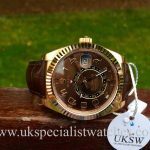 Another fantastic feature is the uni-directional Everose 18ct gold fluted bezel which allows you to set the date, calendar and other time zone. 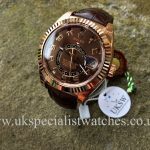 42mm solid 18ct Rose Gold case, Chocolate bronze dial with Rose Gold Arabic hour markers, Sapphire Crystal glass. 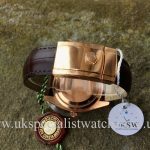 Brown Croc strap with an 18ct Everose Gold deployment clasp. 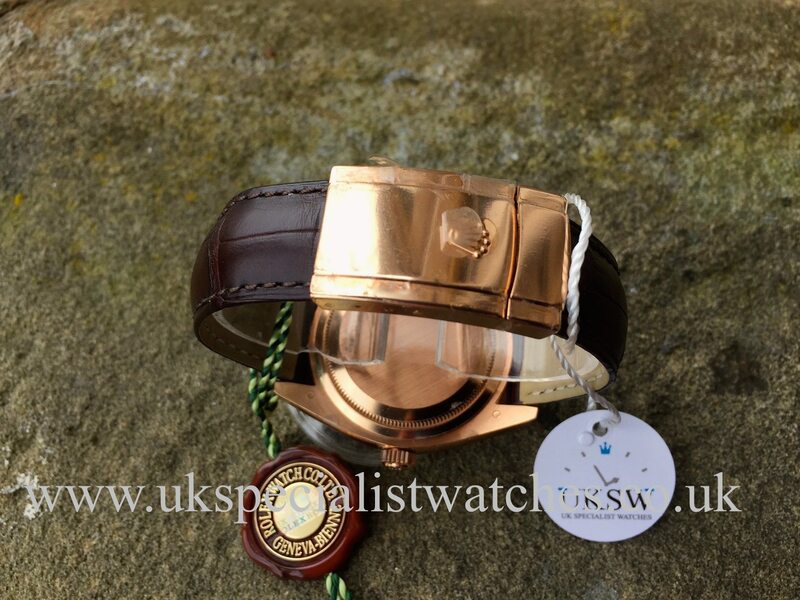 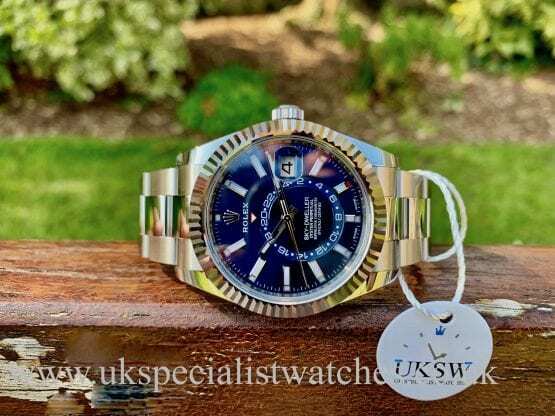 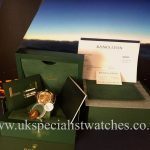 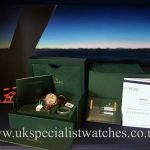 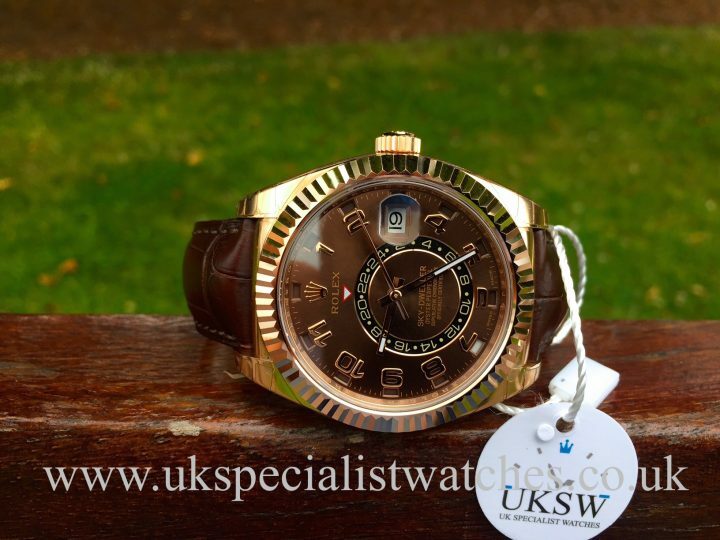 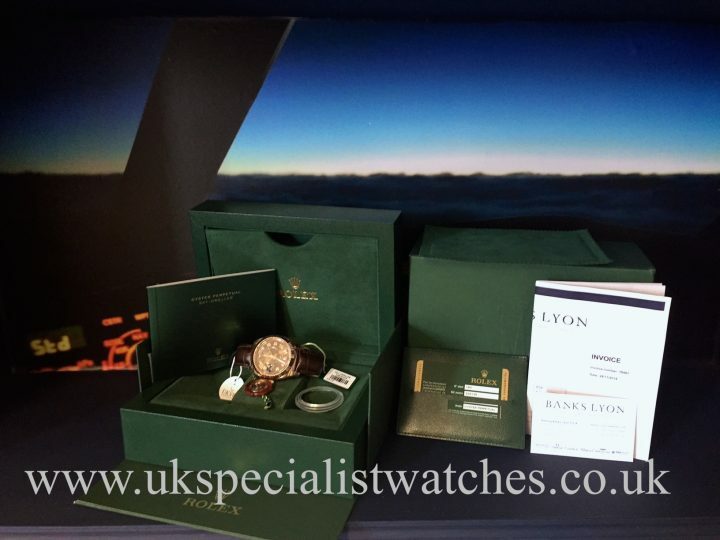 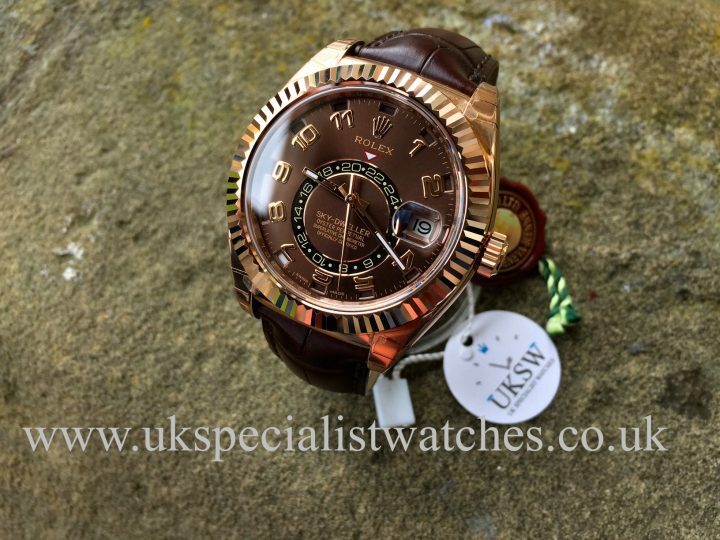 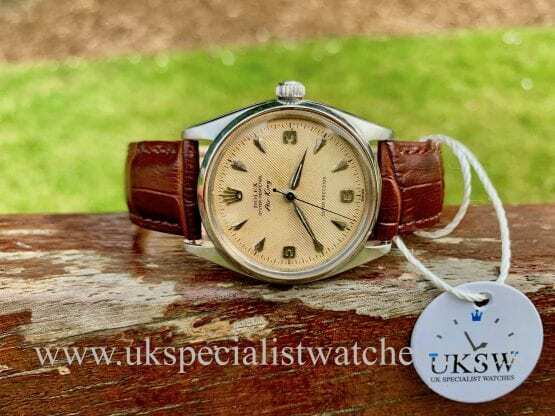 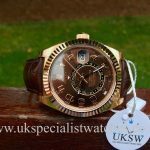 UK Supplied Rolex Sky-Dweller still with all factory stickers remaining on the case and clasp. 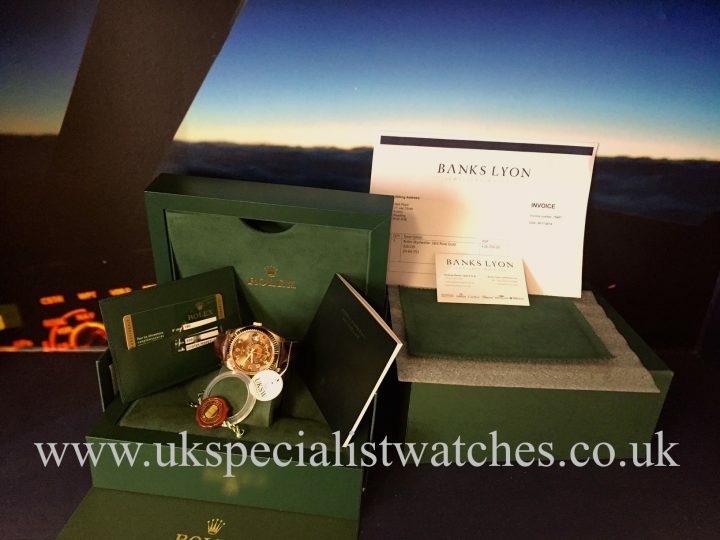 Comes complete with the green box, green leather wallet, new style warranty card, green cushion and bezel cover, both swing tags (with one bearing the watches serial number) and original purchase receipt. 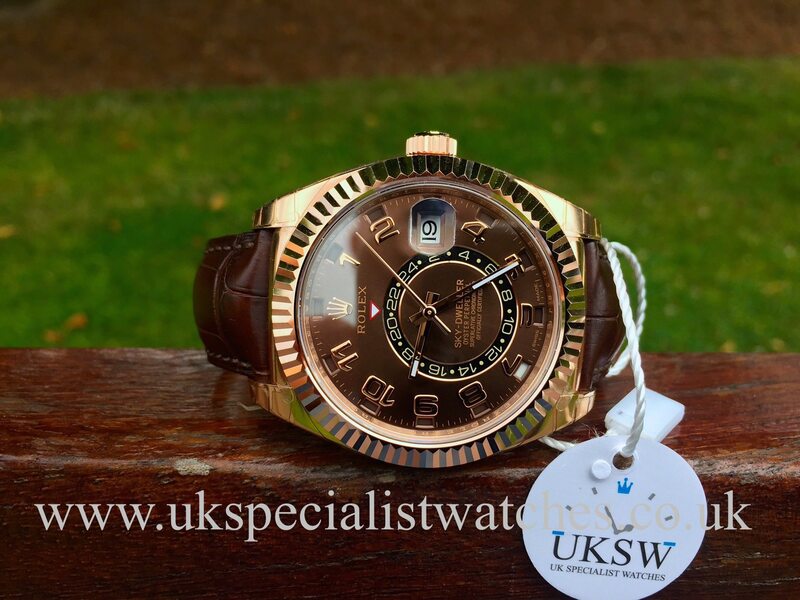 Cost new today is £26350.